Mark your calendars for February 28, 2009 because the Doolittle Home auction event is finally here! After months of preparation and the round-the-clock work of a dedicated group of volunteers, we’re proud to present over one hundred quality items — many priceless — at the sixth annual cable auction to benefit the Doolittle Home. Proceeds from the 2009 fund-raising will be used to purchase an adjustable diagnostics table for the nursing unit to enhance the comfort and safety of residents. Being able to lower the table would make it much easier for residents to get on and off while being raised to a standard height for physical exams or treatments. Fund-raising efforts of the prior two years enabled Doolittle Home to purchase a new wheelchair accessible van to facilitate transporting residents to social events and medical appointments. The Doolittle Home also offers van transportation to any wheelchair-bound veterans in Foxboro. My friends, Doolittle Home is truly one of Foxboro’s treasures. This beautiful residence is home to nearly 30 senior citizens, and provides total care in an elegant, dignified atmosphere. Doolittle Home is licensed by the State as a retirement facility and also provides for the medical needs of the residents in a fully accredited nursing unit. If you visit Doolittle, you will quickly see that it is not at all like any extended care facility you have ever visited. Those investigating options for themselves or an elderly loved one will quickly learn that there are many different types of facilities meant to address different needs. People live longer at Doolittle, and one reason is that they don’t need to worry about their future. Most residents enter Doolittle Home under the Life Care program that assures residents and their families that the needs of the individual will be met for life, regardless of any change in health or financial condition. It is based on a single up-front payment plus Social Security or Pension income and Life Care residents — and their families — enjoy total peace of mind that all of the individual’s needs will be met at no additional cost. The residents are provided for to the highest standards in Massachusetts and enjoy the full amenities of the Home as well as the fully accredited Nursing Unit. But Life Care isn’t for everyone, especially when the nation’s financial condition is in such turmoil. Recognizing that individuals still have to make decisions about their retirement years, Doolittle Home now offers a Doolittle Residency program which, for a monthly fee, provides residents a room in the retirement unit of the Home, together with all meals and activities, and supervision of medication. If needed, up to 14 days of care in the Nursing Unit would be available each year at no additional cost. The Residency Plan is contingent upon the individual’s continued good health and ability to pay. Like retirees everywhere, residents of Doolittle Home retain their own independent lifestyle. There is also an Activities Director who plans special trips as well as in-house activities which they find enjoyable. Through the Residents Council, they have a voice in planning activities, making their needs known, and helping to plan menus. The entire staff at Doolittle is just phenomenal and so dedicated. There’s little staff turnover and that means continuity for the residents. I watch the staff interact with the residents and I am impressed by the level of care, and the obvious affection the staff and residents share. I love Doolittle Home, which is why I accepted so quickly when asked to join the Board of Trustees in 2007. I think the residents are amazing — they are obviously so comfortable, so happy. Recently I was speaking with a 94 years old resident and saw her going over a sheet of paper. “So many activities,” she told me, “I have to plan my day!” That morning after breakfast, some residents are chatting with others over cards, another is doing a puzzle, one is reading the newspaper, and several are hosting visitors. So you can see why I have come to love Doolittle Home — for someone who loves seniors so much, to see that this fine facility provides seniors with dignity, respect and quality of life — well, how can you not want to help? Now here’s the pitch. Doolittle Home is a non-profit organization organized under section 501 (c) 3 of the IRS code. As such, it must demonstrate outside support (read: auctions, donations, other support) and provide care at lower cost than could be obtained on the open market. Residents must also be afforded some sense of financial security and, in the case of Life Care residents, funds have to be available to continue those services even beyond the exhaustion of an individual’s up front payment. 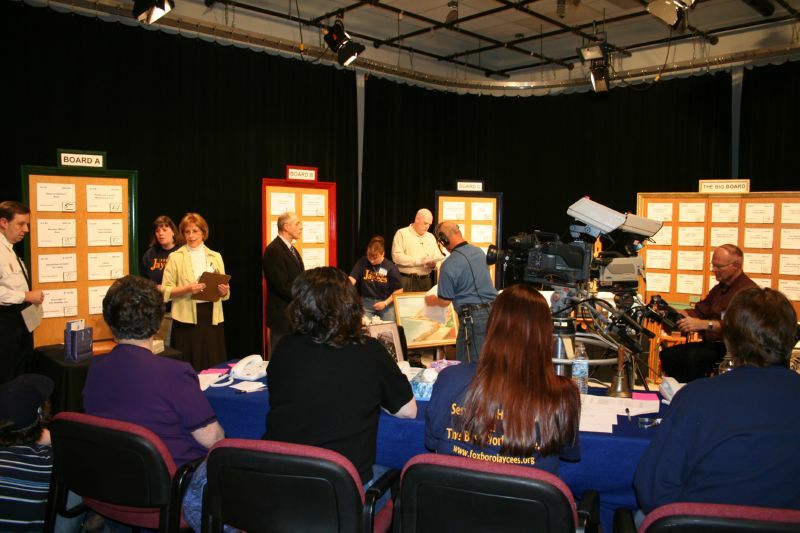 As part of the fundraising, for the sixth year, Doolittle Home will be holding an auction LIVE on Foxboro Cable Access (Channel 8) on Saturday February 28, starting at 1:00pm. I am urging you to watch, to call in and bid, and make a difference. Note to out of town residents: For the second year, you can watch the auction LIVE on the Foxboro Cable Access web site (www.fcatv.org) that day, and call in your bids. No more excuses about not being able to see Foxboro Cable Access! If you have access to the web, you can watch the auction and bid! The auction is a Herculean effort coordinated by Lynda Walsh, along with Joanne Pratt, Jack Authelet, Beth Ferencik, Ginny Coppola, myself and a LOT of behind-the-scenes helpers. 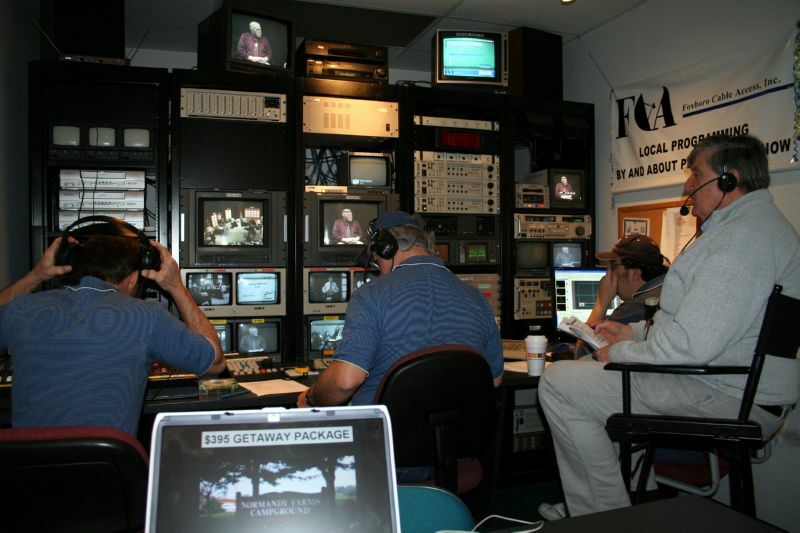 We’re also so very grateful to Michael Webber, Mike Everson, Marge Nash, Neil Kaiser, Lauren Bitar and everyone at Foxboro Cable Access for their lengthy and detailed preparation, coordination, and clockwork execution of the annual show. We thank the Foxboro Reporter for all the news coverage and also thank the Foxboro Jaycees, who lug, tug, present items, and do hours of running around and heavy lifting. Now, let’s talk about some of the auction items: The donated items up for bid this year are phenomenal. There’s the usual excellent assortment of gift certificates to local businesses, stores, clubs and beauty salons, and food. Truly something for everybody. Now, each of the Foxboro Cable Access/Doolittle Home Auctions over the years has featured a painting by the late Homer White, a local artist of legendary proportions known for his local scenes as well a broad range of floral, marine and landscape creations. There is cause for celebration with the news that the 2009 auction will not be an exception, thanks to Bob and Louise Poirier and their donation of a magnificent acrylic of a woodland scene by Homer. A New England Patriots ticket package for two with VIP parking. Go Pats! Speaking of the home team, we are featuring a gorgeous giclee art print of Tom Brady, and a football autographed by Richard Seymour! Red Sox more your thing? Pick up the Dustin Pedroia autographed baseball! We always have a LOT of sports tickets and memorabilia. and get away from it all in one of the most beautiful places in New England — a $2500 value thanks to former town clerk Marie Crimmins! Want to stay closer to home? Normandy farms have again donated a $400 gift certificate to their nationally famous campground. Do you like tech toys? How about an iPod that can hold thousands of songs? Or a computer program that types what you speak? Or a portable hard drive that makes computer backups a snap? Or a portable GPS that will help you never get lost again? Here’s something everyone can use: Local attorney Jeff Lovely has kindly donated estate planning worth $800. Our newest Trustees President, Joanne Pratt, has handcrafted a lovely doll house is 24″ wide, 11 ½” deep and 19″ high. It comes complete with a family of four and even a dog and cat. Each of the four rooms is furnished and complete with all the handmade accessories down to the rugs! This wonderful collector’s item is child friendly and will provide many happy hours of play for any little girl or a little boy. We have a variety of artwork to compliment any room and taste. My favorite category is “Uniquely Foxboro.” Included in our hometown selection, we’re offering another of the hand-crafted tables created by the late Cliff Curry as well as other “local” items that can only be found here. Show your “Townie” spirit! As always, we have a full page ad in the Foxboro Reporter for which we are most appreciative. Also, the Doolittle Home web site, www.Doolittle-Home.org features a PREVIEW of all the items up for bid. Visit the website daily for a constantly updated preview and start making a list of the items you wish to bid upon come auction day! And while you’re there, check out the rest of the Doolittle site for tons of information about residents, staff, the Doolittle mission, trustees, activities, even sample menus and calendar. The items are also being previewed constantly on Foxboro Cable Access. All donations are tax deductible. For additional information about Doolittle Home or its auction or to make a cash donation toward this wonderful cause, please call the Doolittle Home at 508-543-2694 or auction chairman Lynda Walsh at 508-543-2668. And PLEASE: Watch the live auction either on Cable 8 or the Foxboro Cable Access web (www.fcatv.org) site and bid. Mark your calendar now. I am asking you — for this one day — to set aside time at 1pm on Saturday February 28 to tune into the Doolittle Auction on Channel 8. So many people have worked very hard for months to put together this grand event to support one of Foxboro’s treasures. You can help by tuning in, calling in, and bidding. Tell your friends out of town to check out the FCA website — perhaps they might like to call in as well? We had a bidder from New Hampshire last year who watched on the web! Update: The auction was a huge success and raised over $11,000! Read more here.